If you’re a young musician and fancy getting involved this coming Friday, get hold of Terry-Jo Thorne ASAP. 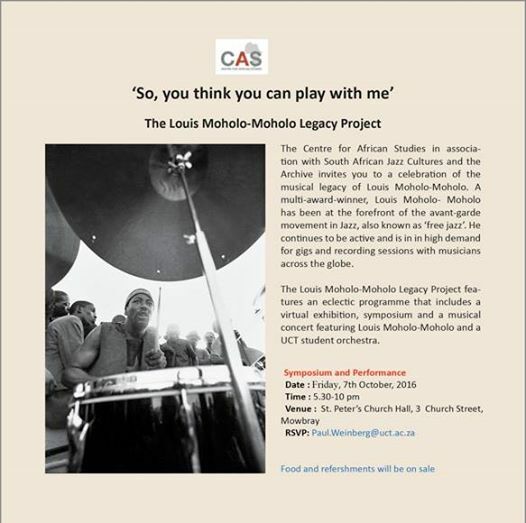 This entry was posted in memory, music, personae and tagged Bra Tebs, improvisation, jazz, Louis Moholo, UCT Centre for African Studies. Bookmark the permalink.